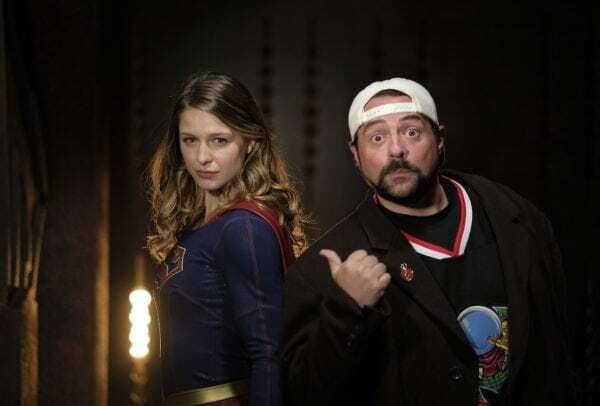 DC Entertainment’s new streaming service DC Universe has added a new piece of original programming to its line-up, with the news show DC Daily set to get underway on August 29th with a live-stream hosted by Kevin Smith. Hosted by a variety of faces familiar to DC fans, the show will offer an added depth of news content that ties back to the original series, comics and community on the new service. The format is scheduled to include “Headlines,” a down of daily news briefs; “Reports,” a single-topic segment that might feature an in-depth interview or deep dive into an upcoming book, film or series; and “Talk,” a panel discussion including analysis about the day’s big topics and news. Special guests and other co-hosts also will join the daily cast. DC Universe will feature original live-action shows such as Titans, Doom Patrol, Swamp Thing and Star-Girl, along with the Young Justice: Outsiders and Harley Quinn animated series. It will also feature a host of previous DC movies, TV series and animated shows, along with a various other DC-related content.